J. Chad Duncan, PhD, associate professor of Physical Medicine and Rehabilitation, has been named director of the Northwestern University Prosthetics-Orthotics Center. J. Chad Duncan, PhD, associate professor of Physical Medicine and Rehabilitation, has been named director of the Northwestern University Prosthetics-Orthotics Center (NUPOC); he formally assumed his leadership role on January 1, 2019. Duncan was selected based on the results of an international search for candidates chaired by Elliot Roth, ’82 MD, ’85 ’86 GME, chair and Paul B. Magnuson Professor of Physical Medicine and Rehabilitation. Duncan said that one of his priorities as director will be to build on NUPOC’s national and international reputation for excellence in research and education. He said he plans on advocating a forward-looking plan of continuity and strategic change that will lead NUPOC into the future. Duncan also said he will continue to implement best practices in progressive, competency-based student education and will position faculty and student development to foster leadership that evolves and adapts to changes in education, research technology and healthcare. Duncan succeeds John Michael, MEd, assistant professor of Physical Medicine and Rehabilitation, who has directed NUPOC since 2009. Michael will continue as an educator at NUPOC, supporting and facilitating Duncan’s transition to director. “It has been an honor to develop, launch and direct the MPO program at NUPOC and I am proud of our many accomplishments. I am delighted to transfer the directorship to Dr. Duncan. His commitment to the education of our students will chart NUPOC’s course for continued growth and shape the future of prosthetics and orthotics. I will be available as a resource when needed, but I look forward to continuing as a clinical educator at NUPOC where I will do what I love, teaching our students the discipline of P&O,” Michael said. A NUPOC graduate himself, Duncan is an educator, clinician and investigator in the fields of Prosthetics & Orthotics (P&O) and rehabilitation education. He completed his pre-residency certificate training in prosthetics and orthotics at Northwestern. He also has more than 20 years of experience as a prosthetist-orthotist and has attained additional formal training for multiple P&O-specific applications and systems, and has served as an invited consultant for his expertise in P&O assessment and evaluation. At Auburn University, he earned a PhD in rehabilitation services, a Master of Science in rehabilitation counseling and a Bachelor of Science in rehabilitation services. Also at Auburn University, he earned a certificate in rehabilitation leadership and management. As a clinical educator at NUPOC, Duncan has extensive direct experience working within the education curriculum for the MPO. In addition to presenting lectures and supervising students in their clinical practicums, he has served as a capstone coordinator, curriculum development coordinator and faculty co-advisor to the NUPOC Student Society. He also worked to launch a special interest society in the American Association of Orthotists and Prosthetists (AAOP) and serves as director of the Midwest Chapter of the AAOP. Duncan is an active contributor and leader in multiple national, regional and state professional organizations, including his service as president of the National Council on Rehabilitation Education, the largest organization of rehabilitation educators in the U.S. His advocacy for professionalism and inclusivity in P&O helped establish the first master’s degree P&O program at Alabama State University, an Historically Black College and University. His attention to administrative process successfully led the program to full accreditation with the Commission on Accreditation of Allied Health and Education Programs and the National Commission on Orthotic & Prosthetic Education. A collaborative and independent investigator, Duncan has published and presented his studies nationally and internationally, examining issues of self-efficacy, psychosocial aspects of disability and prosthetics in the workplace. 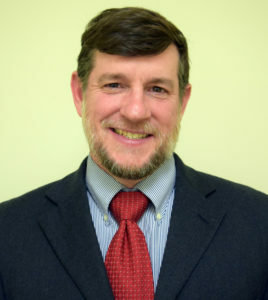 He has also served in editorial positions for the American Board of Vocational Experts, Journal for Forensic Vocational Analysis and Journal of Applied Rehabilitation Counseling. Duncan has received numerous awards, including the AAOP Outstanding Educator Award in 2018, the Presidential Citation for Support and Outstanding Contribution to the American Board of Vocational Experts in 2015, and the New Career in Rehabilitation Education award in 2013.